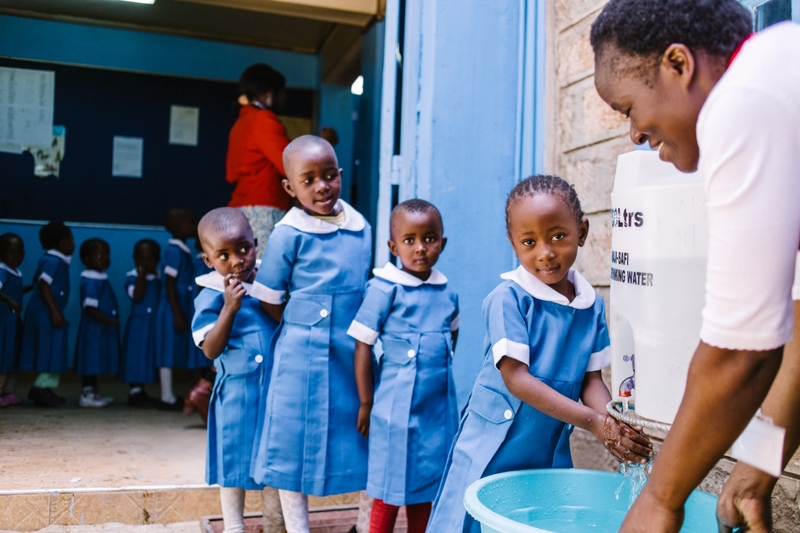 LONDON, United Kingdom, March 22, 2019 /3BL Media/ – In its continued efforts to transform the way safe water is sustainably delivered to people in need, global water treatment company Pentair and the Pentair Foundation today announced a new collaboration with Shining Hope for Communities (SHOFCO) to deliver clean water to the people living in Mathare, an impoverished settlement in Nairobi, Kenya. The project in Mathare expands upon the recently completed multi-year endeavor by the two organizations to deliver safe drinking water in Kibera, a settlement on the western edge of Nairobi. The goals of the project were to create a more stable, fairly priced supply of clean water in Kibera, and to help reduce the number of contracted waterborne illnesses. The revenues from the project sustain the water system and help fund the Kibera School for Girls, thereby creating an integrated link between clean water, the girls’ education and community development. Working collaboratively with SHOFCO, Pentair engineers designed, built and installed a state-of the-art water filtration system to treat water on site, doubling the volume of water that the system delivered to the Kibera community. The aerial piping system, the first of its kind to be constructed in Kenya, distributes the filtered water away from groundwater contamination while reducing the risk of tampering. The custom designed aerial system consists of overhead pipes that connect to 24 water distribution kiosks throughout Kibera. 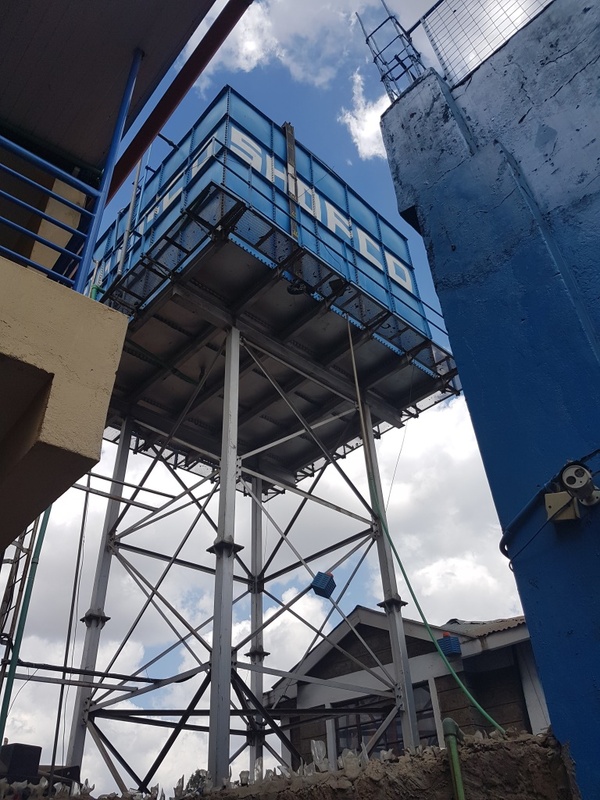 In Mathare, SHOFCO intends to replicate the aerial piping system to connect five water kiosks that will deliver filtered water to a projected 21,000 individuals annually. In addition, it will provide filtered water to the Mathare health clinic – a key component of SHOFCO’s holistic approach to help build empowered, healthy generations. Central America: A legacy initiative with Water Mission, which began in 2007, delivers sustainable filtered water in western Honduras and has transformed the quality of life for the country’s citizens. In Colón, Honduras, Pentair has installed more than 200 water treatment systems. Three years after the project’s inception, Colón residents saw an 80 percent reduction in waterborne diseases, and visits to the local health clinics for diarrheal diseases have dropped by over 50 percent. In 2016, Pentair launched a five-year, $5 million commitment to expand the program to an additional 150,000 residents to help reduce waterborne illness and death rates as well as to study the long term positive economic impact safe water brings to communities in need. To date, 12 additional safe water projects were commissioned, with two more commencing construction and 12 beginning the design phase, to ensure the expansion of clean, accessible water for this impoverished mountainous region. India: Since 2010, Pentair has supported nonprofit partner Safe Water Network, launching the first clean water station in India, to offer filtered water at a low cost. Locally branded in India as iJal (or “my water” in Hindi) the self-sufficient and safe stations treat contaminated water to World Health Organization standards with reverse osmosis technology, then the filtered water is sold to the community at an affordable rate. The filtration technology helps to reduce fluorosis and waterborne diseases caused by excess fluoride and other contaminants in the local groundwater. To date, Pentair has provided more than $1.5 million to further clean, accessible and affordable water for people daily in India. Pentair components are used in more than 250 iJal operating stations that provide daily access to safe water to approximately 870,000 people. Founded in 1998, the Pentair Foundation is Pentair’s philanthropic arm which through its programs and grants helps strengthen the communities in which Pentair operates as well as helps to provide safe, clean water to nearly three million people every day in the developing world.